Could the Mariner’s recent tradition of adding players they recently had use another chapter? For too many seasons in a row the Mariners have gone into the trade deadline as presumed sellers. Each year, those presumptions have been right. 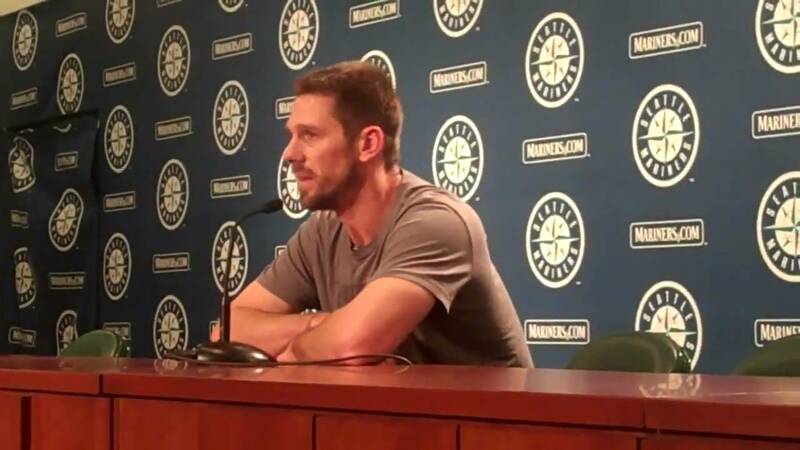 The Mariners have had albatross contracts, players approaching free agency, and ostensible organizational depth in their pitching staff that has led the team to trade guys like Ichiro, Cliff Lee, Doug Fister, Brandon League, and maybe some other guys. These are all normal and perfectly acceptable reasons to part ways with talented players. None of these trades have worked out particularly well, but nonetheless, the philosophy that led to them made sense. Of course, the alternatives to these trades, save for the Fister trade, were evidently worse at the time. Ichiro and League were unlikely to have any kind of compensation-tied free agent status, while the package the Mariners got for Lee looked like a pretty decent one at the time. So whatever. The Mariners have made some trades that have had bad results in the recent past. One’s qualms with the front office or ownership aside, that should never lead to a decreased emphasis on attempting to improve in the trade market. Normally this time of year, teams in the Mariners position in the standings are sellers functionally by default. Often times these teams have acquired a bunch of expensive talent for a failed run at a postseason berth. Other times, those same teams are faced with the prospect of trading away players before they hit free agency after exhausting their arbitration years. The Mariners don’t really have any cases like this, and the guys they do have that could be truly valuable trade chips nearing free agency – namely Kendrys Morales and Michael Morse – are in position to receive qualifying offers from the Mariners, meaning the team would receive draft pick compensation were either to decline the one year, approximately $14 million offer, instead testing the trade market and signing with another team. Opposing teams are aware of this, and while these guys are borderline qualifying offer candidates, opposing teams are no longer entitled to draft pick compensation unless they keep Morse or Morales. Those things are subsequently pulling against the prospects of the Mariners trading either, as Morse and Morales have higher value to the Mariners than a typical trade candidate who may not be in position to receive a qualifying offer, and the duo may be of lower value to interested teams, as the trading team will have little leverage going into the offseason. New rules and strategies in mind, it may be best for the Mariners to be predators in the trade market at this year’s deadline. Teams (and certainly fans) often put a ton of emphasis on the present. This year’s team isn’t contending? Fans not filling stadiums? Liquidate all high-cost assets with any value at all. Not all of the players traded this offseason, though, are necessarily imminent free agents. Not all of them are in their mid-30s with tremendously limited useful lives. Last year we saw the Marlins (sure, it was the Marlins, but still) trade Anibal Sanchez to the Tigers for a very good pitching prospect in Jacob Turner, and a couple of guys who look more like organizational depth. We saw the Brewers trade Zack Greinke to the Angels for a prospect haul headlined by Jean Segura, who has turned out a rookie season that could make him the National League’s rookie of the year despite being Baseball America’s 55th best prospect going into 2012. The rest of the haul was relatively weak in relation to the type of package the Mariners could assemble for the right candidate. The obvious right candidate that is likely to get a disproportionate amount of ink this offseason is Giancarlo Stanton. Stanton is unhappy on a Miami team amid its third or fourth fire sale. He’s got a ton of team control and transcendent power. He’s actually a pretty decent defensive outfielder, he’s got a first baseman’s bat, and he’s in only his age-23 season. The problem is that the Mariners will be bidding against 28 other teams for Stanton’s services. We can want the Mariners to trade for him, but there is sure to be some pretty lucrative offers made to the Marlins if they make Stanton available, meaning the Mariners would be entering a market in which they’ve got functionally negative leverage save for the quality of their prospects and their potential desperation to acquire Stanton. Instead, when I think of “buying” at the trade deadline, it’s usually acquiring veteran players with upper-echelon talent, and contracts to match. The Mariners have thrice tried to acquire such players in the offseason. Two offseasons ago they were in on Prince Fielder until Prince Fielder decided to maintain his vegetarian status, and spend the rest of his career eating exclusively money. Fielder has been very good as a Tiger so far, but nobody was worried that he’d be bad in the short term. The worry has always been that Price, like his father Cecil, would eat himself out of the league. We shouldn’t ever expect Fielder to become svelte and trim, but his body type has traditionally had problems remaining durable. This offseason the Mariners offered way too much money (if you ask me) in an attempt to acquire Josh Hamilton, whose poor 2013 results had been oft-predicted based on his poor 2012 peripheral stats, as well as his own health issues, both mental and physical. The team tried to trade for Justin Upton, and Justin Upton didn’t want to play for the Mariners, for whatever reason. Upton was reunited with his brother B.J. in Atlanta, the elder Upton having signed with the Braves earlier in the offseason. After an amazing April, Justin has posted wRC+’s of 84, 77, and 77 in May, June, and July respectively. For what it’s worth, at the time of this writing, B.J. has eight less hits than Yasiel Puig despite 166 more plate appearances. So it’s not like the Mariners haven’t tried to acquire talent. And while I fully support any Occupy Mariners movement that forces the ownership out, they’ve shown at least some willingness to open the pocket books recently—to some degree at least. But ostensibly, Seattle is a tough sell for free agents, and even players with no-trade clauses and no apparent disingenuous or tactical purpose to include the team on their no-trade list apart from the team’s apparent interest in said player. This isn’t of course to say that the Mariners should hang up on any and all phone calls for their own veteran players. If teams want to offer two Top-50 prospects for Morse or Morales, the Mariners would be crazy to not consider it. If a team called offering something great for Charlie Furbush, or Tom Wilhelmsen, or Oliver Perez, or whoever else the team may be interested in retaining in some capacity, they’d still be crazy to not at least entertain the offer. While the new compensation rules may have diminished the value of such players, the second wild card team in each league has caused more competition, if not false inflation in the trade market. Nonetheless, the trade market may be the best place for the Mariners to acquire talent for any future attempts at the postseason, and a market where they can actually control at least one half of the acquisition process: the part where the players don’t get to choose what team they play for. Here are some candidates offered with accompanying team control and fWAR information, and no commentary. **Bautista’s contract includes a $14 million option for 2014. ***Gordon’s contract includes a $12.5 million team option for 2016. ****de la Rosa has pitched only 180 innings in the past three years due to injury. *****Lee’s contract includes a vesting option at $27.5 million based on innings pitched, with a $12.5 million buyout. Option vests with 200IP in 2015 or 400IP combined between 2014-15. ******Peavy’s contract includes a player option for 2015 that he can exercise if he pitches 190 innings in 2014 and doesn’t end 2015 on the disabled list. *******Rios’ contract has a $13.5 million team option for 2015 with a $1 million buyout. I wouldn’t mind the team doing a little strategic buying or trading for the future. I like DeJesus and Aoki as still having value and due to our need for OF help. Likewise Rios for the CF slot but also by taking on his full contract they would not have to give up as much talent. Lee has a lot of money due and should also not require so much talent if it is absorbed. With money coming off the books and a lot of new media money coming in the Ms can afford to take on at least $50MM in new payroll this off-season. They should shop early and avoid the rush. I totally agree as the Mariners can stay in hunt for the final or top Wild Card race if the M’s can stay hot for the rest of the season just like what the Oakland Athletics did last year. GM Jack Z should check out on pitcher Gallardo or Kyle Lohse and outfielder Aoki of the Milwaukee Brewers before the trade deadline in exchange for pitchers Tujuan Walker or James Paxton, infielder Ketel Marte or catcher Jack Marder, first baseman Justin Smoak, and a player to be named. Perfect trade for both teams to make, esp. For Smoak getting a change of scenery in the National League, while Gallardo or Lohse & Aoki can help the M’s to bring back the Mojo/Refuse To Lose. A lot has been written about an observable change in Smoak’s swing in the minors last July that could have something to do with better contact at the plate. His trade value may be quite a bit lower than actual value right now. Otherwise, “buying” now when players have less right to say “No” sounds like a good idea. You’re right as instead of Smoak, couple players to be named (mid level prospects) would make sense on trading for Lohse & Aoki.